We’ve put together an entire classroom furniture package to save you time and $365 to $430! 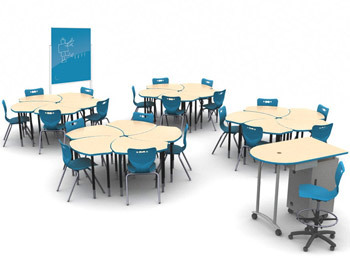 The Classroom X basic classroom package includes twenty small Shapes desks, twenty Hierarchy 4-leg student chairs in the 18" height, one Mobile Teacher Workstation, one Hierarchy 5-Star teacher stool, and one small Visionary Move magnetic colored glass board. Upgrade to the Classroom X Plus package, and one small MediaSpace Table and five Hierarchy Grow Stools are added to the basic package. Colors are all coordinated and will create a polished and well designed learning space that functions with endless possibilities. 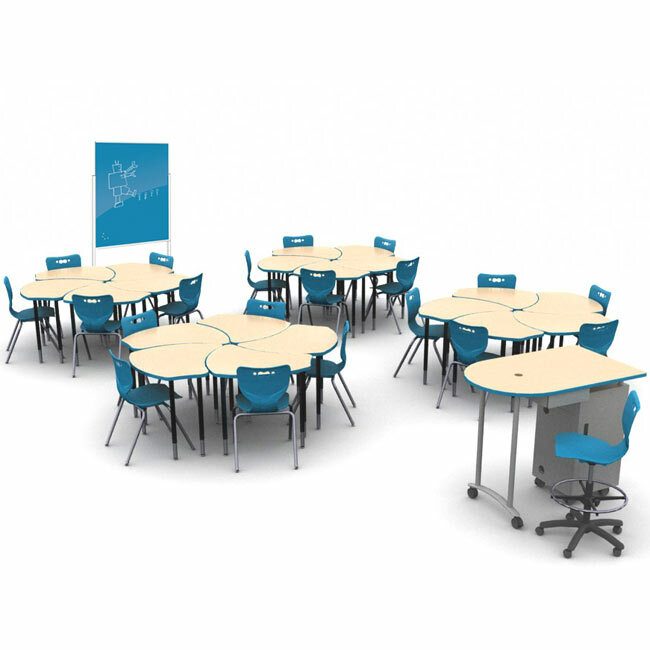 Student Shapes desks are versatile and can be arranged in collaborative groups in varying sizes, or spaced individually for testing or solo work.